We had our front sidewalk replaced at the beginning of the summer. 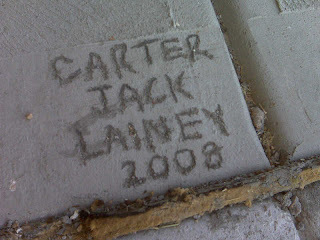 Before it dried, Carter and I ran out to engrave the kids' names. That event also allowed enough time for Carter to implant his Crocs in, too.